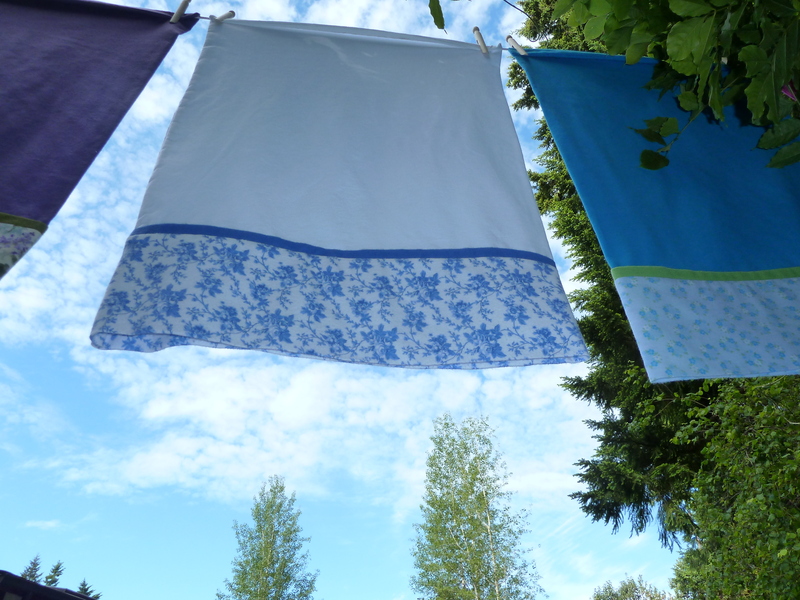 I grew up watching my mother sew – dresses for my sister Julie, aprons, and especially quilts. I have always appreciated the precision and care she took to craft each item. I believe it was one of the ways she was able to express her creativity and skill, as well as the desire to give to others something she poured her own heart and hands into. A few years ago I decided to try sewing. Ross borrowed an old sewing machine from a friend and we began working on some projects. 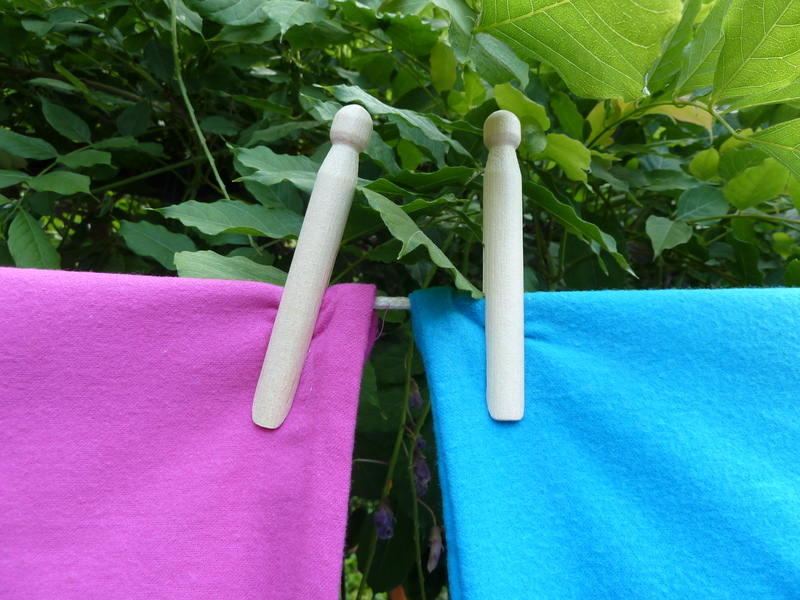 Together we sewed fleece throws and other simple projects for ourselves and also as gifts. I enjoyed that feeling of giving something to loved ones that I’d created myself. It was also really satisfying to use fabric as a medium to play with colors and design, experimenting and learning along the way. This past year I took it to another level and upgraded the sewing machine. 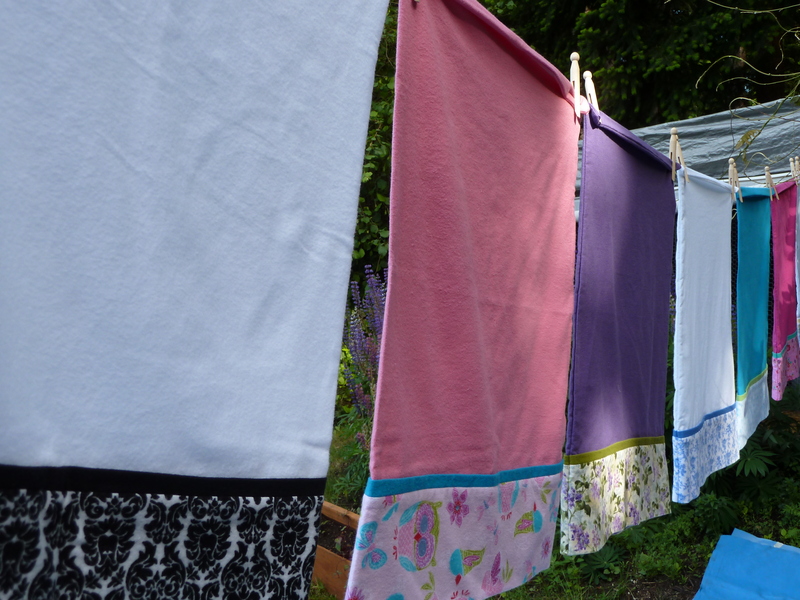 My ultimate desire is to create a patchwork quilt. I’ve collected fabric, mostly from eBay or Esty, settled on a design and started sewing a few blocks. 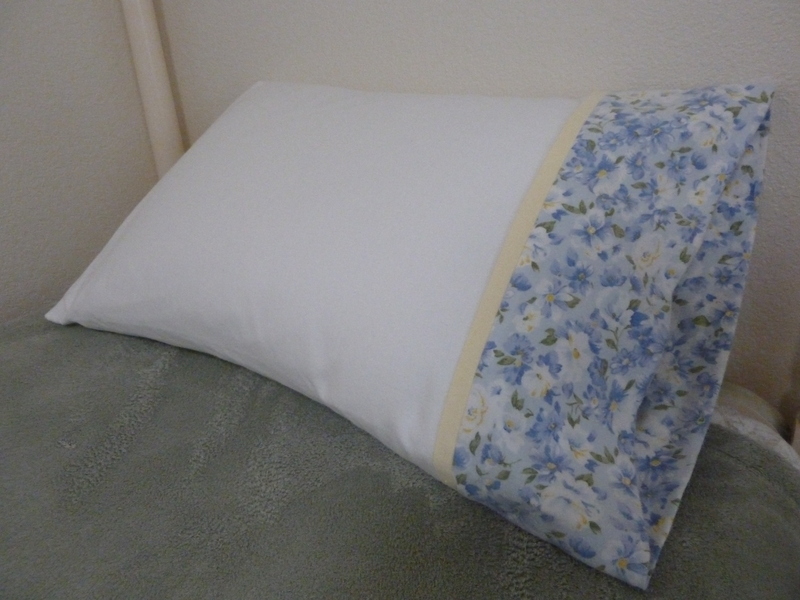 In the mean time I came across a pattern for these flannel pillow cases. It was just before Christmas last year and even though my gifts were almost all purchased, I thought that it would be nice to make some to give as presents. I enjoyed creating them and they seemed to be appreciated by the recipients. So I decided to make more (a lot more!) I now have quite the collection and hope others will enjoy them as well. Thanks Mom for inspiring me to be creative. Oh my goodness Drew- I love them! !